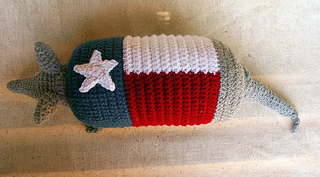 A charming little armadillo sporting the colors of the Texas Flag, for all those Texans on your list. Pattern is suitable for intermediate/advanced skill levels. Contains frequent color changes, shaping and moderately detailed construction. 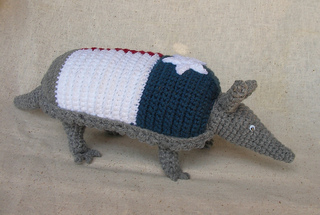 Pattern includes email support. See pattern for instructions concerning email support.